Today’s mindfulness eating experiment is about eating in a way that involves becoming aware of that reflexive urge to plow through your meal like Cookie Monster on a chocolate chip bender. We live in an incredibly busy world, the pace of life is often frantic, and our minds are always running wild, we are always doing something. So, I would like you to take a moment and think about the last time you did nothing, and I really mean nothing. You weren’t watching TV, nor texting or emailing, you were just engrossed in – stillness. 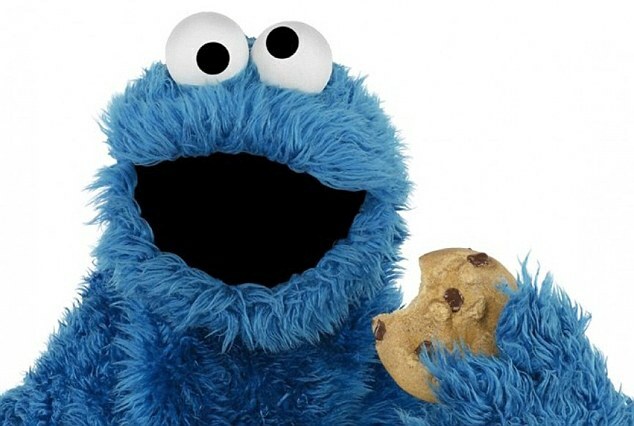 Do you eat like the Cookie Monster? Collectively, we worry about maintaining a healthy physical body, but overlook maintaining a healthy mind. We rely on the mind to be happy, content, and emotionally stable as individuals, and at the same time to be kind and considerate in our relationships with others. That same mind that allows us to be focused, creative, to help us perform our best in anything that we do, does not receive the same level of care or concern as our physical body, and we often do not take the time to look after it. This lack of attention, does of course often result in stress and contributes to mental illness. Our mind starts spinning away with all different types of emotions, and a lot of the time we don’t really know how to deal with that. The sad fact is, that we are so busy, so caught up that we are no longer present within the world in which we live in. The result is we are missing out on some of the most beautiful and important moments that are in fact, life. The crazy thing is that people just assume that is how life is, but that’s really not how it has to be. I was 13 when I went to my first meditation class, and since that day I have discovered, in my own journey and struggles, that meditation was not a type of aspirin for stress or depression; but that is is more a preventive measure. Many people have different methods of dealing with stress, some people bury themselves in work, others turn to friends or families, some use drugs or other substances to just quiet their minds. However, one plausible, practicable, achievable and scientifically proven technique, is the act of being Mindful. One thing that we do on a daily basis, multiple times of day, is eating. So what better way to practice being mindful then pairing it with the consumption of vital nutrients. Hence, Mindful eating was born. This is not a diet, nor the act of giving anything up, it is a process of enjoying eating more intensely. Sounds pretty good, doesn’t it? Like meditation, mindful eating has its roots in Buddhist teachings. It aims to reconnect us deeply with the act of eating, aiding us in the process of checking in with ourselves, “Does my body need this? Why am I eating this? Is it just because I’m so sad, or because I am stressed out?” Mindful eating is based on the idea that there is NO wrong way to eat, but rather varying degrees of consciousness about what we are eating and why. The goal is to base our hunger on physical cues, that empty burn you feel in your tummy, rather than emotional ones that result in comfort or binge eating. Mindful Eating – more than just food on the brain! This practice has been growing, and in the eyes of some experts, the act of simply eating slowly and relishing each bite can be a remedy to slow the stampede towards increasing rates of obesity. For instance, a monthly mindfulness lunch hour has been incorporated at Google, and self-help guru Oprah Winfrey is a huge advocate of it. Also, research has been conducted at Harvard and Cornell investigating the effects of this simple practice. One study tracked more than 1,400 mindful eaters and it showed them to have lower body weight, a greater sense of well-being, and fewer symptoms of eating disorders. Now you have an idea of what mindful eating is, let us practice this all together with a nice snack. If you are hungry, grab a snack, preferably a healthy one and take a deep breath. So to begin, I want you to first gaze at your piece of food, musing on it, holding it up and seeing how each layer looks, the color of it, noticing how heavy it is, all while you wait patiently to taste it. Take time to gaze at the food before tasting it. Now that you have eaten with your eyes, you can take a forkful of food and place it in your mouth. This my friends is your first nibble of food. Now is the hard part, “put the fork down.” I know it is challenging, because that first bite was so good and the next one is calling to you. Resist it. Leave the fork on the table. Chew slowly. Don’t speak, don’t think, just tune into the texture of the food, the flavor of the carrot, or the crunch of the nuts. Notice the beautiful color of the cake on the plate. As you are eating, you are paying attention to the sensation and purpose of the food that is in your mouth. Now that you have fully appreciated your first bite, I invite you to pick up your fork, and put another piece into your mouth. This is that second bite that your mind was longing for. Slow down your chewing, remember to put your fork down. Enjoy the texture and flavor of your food, contemplate the spices, the crunch, the sweetness, warmth and tenderness of the food. Before you pick up your fork once more, I want you to also think about the origins of this food. The thousands of farmers, the rays of sunshine, the truck drivers and chefs that have worked countless hours to get this piece of food, here onto your plate. I want you to connect with the story of behind your food. Who grew the ingredients for this? How? How did it get here? What is the story behind your food? So now you are free to continue eating this way for the rest of your meal or snack, and while you are eating please enjoy this experience, the pleasures, and the frustrations of the practice of mindful eating. It can be so simple – Eat. Respect. Appreciate. Repeat & Bon Apetite! Next Vertical versus Horizontal delivery of health services: The never ending debate!